" I searched long and hard to find just the right online course to suit my working pattern, I live outside the UK and work on the Oil rigs in the north sea. The 17th edition online was perfect for me to do and organise the exam, It only took me a few weeks and had terrific support throughout the course. I passed with flying colours. " "I enrolled on the 17th edition over a year ago and could not get round to doing it but I spoke to the trainer and they reintroduced me to the amendments and it only took me a few days to get reacquainted with the learning and now I have passed the online course. They were so helpful and the materials are a fantastic way to learn this subject." "I had a team of electricians that wanted the 17th edition, we enrolled and after about 6 weeks they came to Gibraltar to do the exams, we all passed "
""An excellent course (17th Edition). Very nice presented and concentrated on what was needed to comply with BS7671 with very useful practicing questions and exam practice examples. Well organized and run. Big thanks to very professional and excellent tutor Terry. I'm very impressed. I do look forward to take more courses. Just perfect. 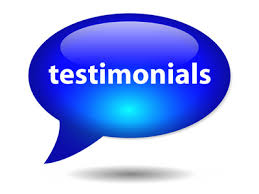 My sincere thank to Terry"
"Thanks for the course I will certainly recommend it to my friends. I will book a further course soon"